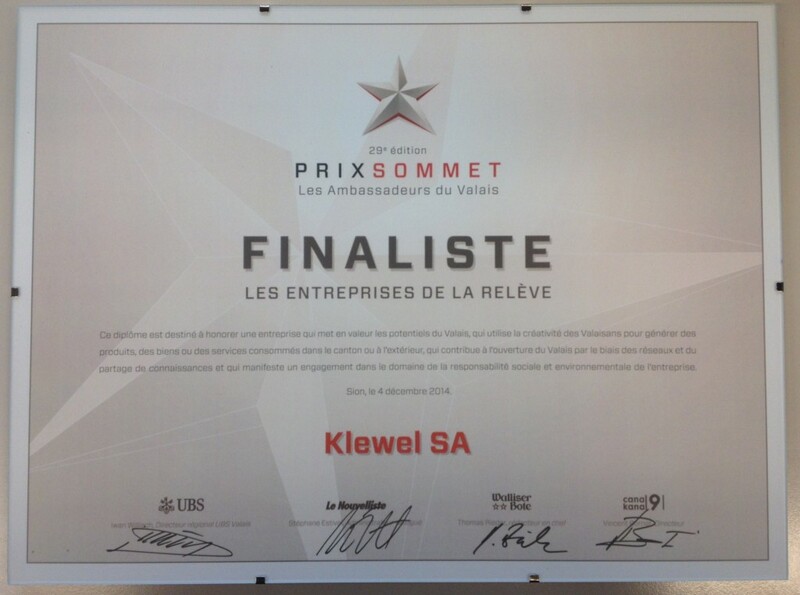 A big thank you to all of you who supported us by voting for Klewel in the context of the Prix Sommet 2014. We did not win the top prize, which was awarded to Pixon Engineering located in Visp, but we are very happy to be part of Valais Ambassadors on the eve of the bicentenary of his entry into Switzerland. Thank you again! This is Pascal Meyer, the founder of QoQa, who opened the evening of the Prix Sommet as featured guest. Watch again his presentation in 2012 à at EPFL. It is the company Pixon Engineering in Visp who won the award this year. Congratulations to them and to the other finalists Ecobois Recycling experts in recycling wood, Edelweiss Market passionate about local stores with local quality products and ValTest experts in measuring concrete, all beautiful Valais ambassadors projects. said Maël Guillemot, Klewel’s managing director. The Qdéfi of last night ? Someone needed to enter the conference room where the Prix Sommet took place in Conthey, to shout load “Au taquet” (it means something like “I am so motivated!”) by bringing a Valais flag, a pair of skis, a bottle of williamine and a bottle of Giroud wine. The QoQa team was teasing Qoqa community during the the afternoon on Facebook by announcing a new Qdéfi coming that night. 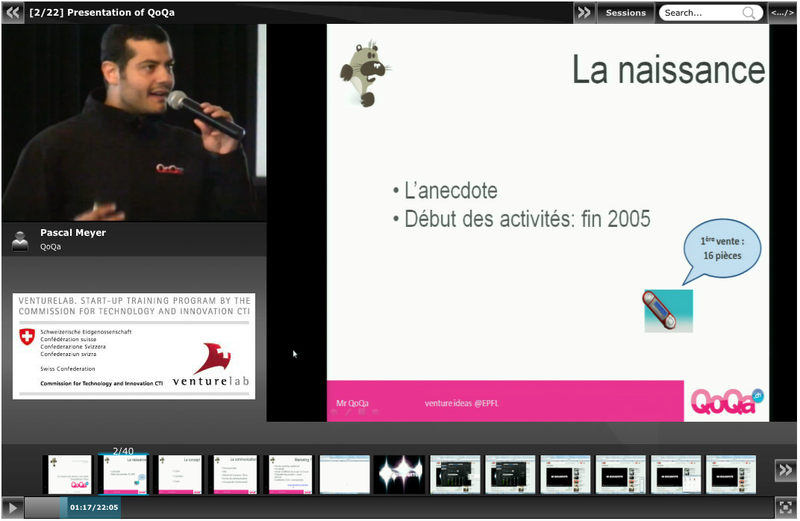 And before the end of his presentation, it was not less than 8 people that realized the Qdéfi. Impressive!